Set amid the paradise of Florida's Gulf Coast, the Mariner's Boathouse and Beach Resort brings quality accommodations and an unforgettable vacation experience to create lasting memories. Find timeshare resales and rentals at the resort today and save up to 70%. What’s My Mariner's Boathouse and Beach Resort Timeshare Worth? 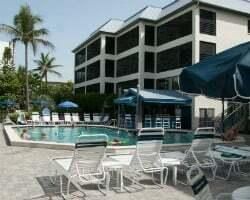 One of most unique resorts in the area, the Mariner's Boathouse and Beach Resort's nautical-themed buildings and grounds present timeshare owners with a special vacation experience. Just steps from the ocean, owners will enjoy easy access to the beaches of Fort Myers, along with an incredible proximity to other local attractions. You'll also enjoy the outdoor swimming pool, volleyball and shuffleboard courts, game room, and other fantastic amenities. 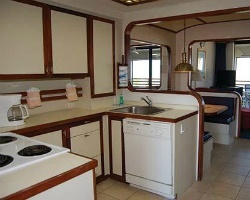 Perfect for family trips to the beach, the Mariner's Boathouse will be your dream home away from home. Accommodations at the resort are just as unique as the property itself. Modeled after upscale luxury yachts, the suites at the resort incorporate the same nautical theme to the delight of owners. The one-bedroom, two-bathroom units are suitable for parties of up to six, and feature enough modern amenities to ensure everyone's comfort. Climb aboard as soon as you step through your door to discover fully-equipped galley-style kitchens, a screened porch with patio furniture, and up-to-date electronics for your utmost convenience. 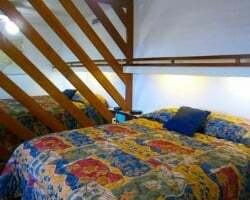 Are you ready to secure your own accommodations at Mariner's Boathouse? Fill out the form on this page to learn more, or call a representative at 1-877-815-4227 today. Owning a timeshare at the Mariner's Boathouse and Beach Resort will allow you to return to the Gulf Coast year after year to enjoy quality vacations with your family. However, purchasing that timeshare through the resale market can allow you to earn all the same great vacation benefits for thousands less than what others pay. Because timeshare resales are sold by owners instead of by a resort or developer, prices can fall up to 70% below retail value. What results is a great opportunity for dedicated vacationers like you to save on high-quality accommodations. Resales at the Mariner's Boathouse are often available in the form of deeded fixed and floating weeks, giving you a variety of options when seeking a suitable method of ownership. With the ability to find your ideal unit by choosing price point, unit size, season of ownership, and more, you'll secure a long-term vacation solution in Florida that works for your preferences and budget. Your timeshare resale at the Mariner's Boathouse and Beach Resort will be eligible for exchange through RCI. The largest timeshare exchange brand in the world, RCI offers the ability to trade your usual accommodations for stays at one of 8,000 resorts worldwide. Simply acquire your RCI membership to get started, and deposit your Florida accommodations into the network. Since the resort has earned the Silver Crown rating from RCI, you'll be able to trade with other high-rated properties throughout the exchange database. 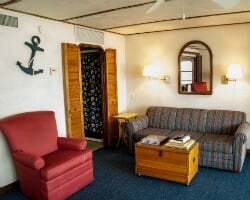 The Mariner's Boathouse features a wide range of fantastic on-site amenities and services to help make your vacation easier and more enjoyable than ever. For starters, there's the beach right outside your door. Head down with a few beach chairs and towels to enjoy swimming and surfing in the warm Gulf waters. Stay on-site to enjoy swimming and tanning at the swimming pool, open throughout the day for your convenience. Hit the game room for rounds of ping-pong or billiards, or enjoy the warm weather by playing rounds of tennis or shuffleboard. Around the Fort Myers area, the world is your oyster—browse the myriad of beach bars and seafood eateries around Estero Boulevard along Fort Myers Beach to enjoy the tastes of the region. Find some of the best deep sea fishing in the world around the Gulf of Mexico, where you can reel in a prize catch. Make the short drive to Sanibel Island to discover more breathtaking beaches, golf courses, and opportunities to explore. Already Own at Mariner's Boathouse and Beach Resort?